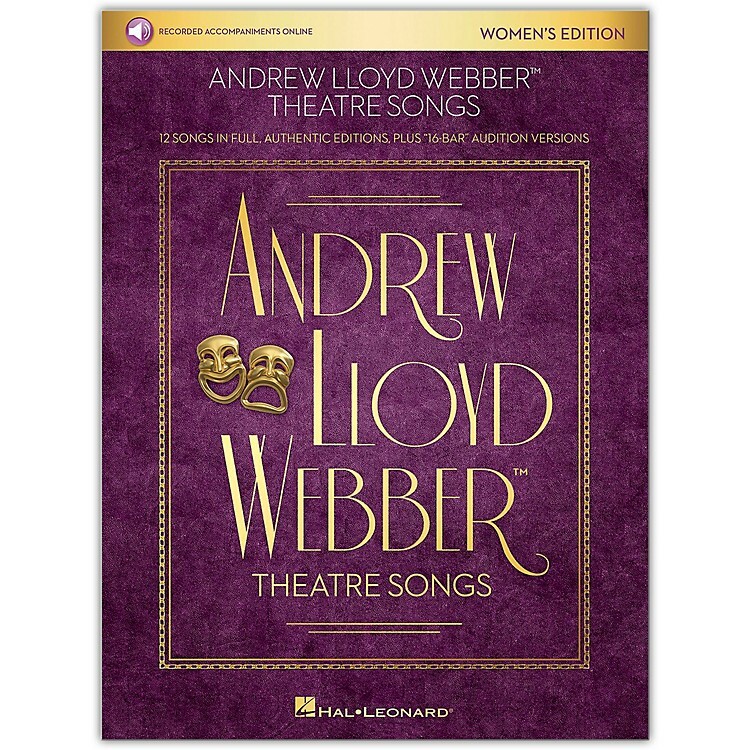 A dozen of Andrew Lloyd Webber's most memorable musical theatre compositions for women's voices. The book includes full versions and 16-bar audition cuts for each song, and recorded accompaniments for both versions available online for download or streaming. Songs: Anything but Lonely · Don't Cry for Me Argentina · I Don't Know How to Love Him · The Last Man in My Life · Memory · Tell Me on a Sunday · Think of Me · Too Much in Love to Care · Unexpected Song · Wishing You Were Somehow Here Again · With One Look · You Must Love Me.